A husband threatens his wife with a knife, a residential burglary in Moss Beach, auto burglary on Hwy 1, warrant arrests for DUI’s, spray paint on a car in El Granada, wallet stolen from an El Granada convenience store, auto burglary at Pigeon Point, possession of a hypodermic needle, and gang graffiti at Pilarcitos and Willow in Half Moon Bay. Between the hours of 2200 and 0025 hours, unknown suspect(s) used aerosol paint containers to vandalize the victim’s fence. The graffiti was applied to a white fence in a red colored paint. The content of the graffiti was gang related and derogatory to the “Coast Side Loco’s.” street gang. The vandalism was apparently carried out by “Media Luna Norteno’s,” as they initialed their work. The husband grabbed a knife and threatened to kill his wife during an argument. He was arrested and taken to jail. 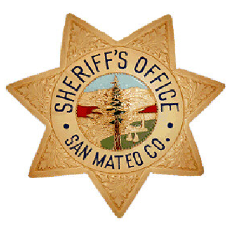 Deputies contacted a subject in front of a bar. The subject was not making any sense and was found to be too intoxicated to care for himself. He was taken to the county jail. Unknown suspect(s) tampered with the screen on the bathroom window of the residence, appearing as though it were an attempt to enter the residence through said window. There was no damage to the screen or loss of property at the residence. On 7/20/11 between 1900 hours and 2100 hours, unknown suspect(s) entered the victim’s vehicle by unknown means and took the victim’s belongings without permission. Deputies made a traffic stop on a vehicle for a registration that was expired for nearly a year. The driver admitted to driving with and expired registration and a suspended license. The vehicle was towed and will be release when the driver can prove that the registration is current. Deputies contacted woman to serve her with a warrant for her arrest. The warrant was confirmed and she was taken to the county jail. Deputies contacted the occupants of a vehicle that was parked in the closed beach parking lot. A routine check revealed that the driver of the vehicle had a no bail warrant for his arrest out of Santa Clara County Sheriff’s Office. He was taken to the county jail. Deputies went to the listed address to attempt to serve a warrant. The subject was contacted, the $15,000 warrant was confirmed and he was arrested and taken to the county jail. Deputies were contacted to assist with traffic control. A large fishing boat being towed had sustained substantial damage and was blocking the roadway. Deputies assisted the driver to move his vehicle and boat. While assisting him they could smell the odor of an alcoholic beverage coming from his person. He was arrested and taken to the county jail. It was also discovered that he left his 12 year old son alone in a local hotel room. His mother was called to come and pick him up. Unknown suspects spray painted the victim’s vehicle with gray primer paint on the rear of the vehicle, sides, the top and front. An unidentified white male in the company of an unidentified black male stole a wallet from underneath the cash register counter of Easy Food & Liquor in El Granada. Build: Heavy with a big gut. On 07/24/11 between 0630 hours and 0815 hours an unknown suspect broke the front passenger window to the victim’s vehicle. The total loss from this incident is estimated to be approximately $500. 7/20/11 between 1820 hours and 1955 hours, an unknown suspect(s) smashed the victim’s car window and took victim’s briefcase without permission. The suspect(s) are still outstanding. On 7/28/11, the subject was consensually contacted as a passenger in a vehicle. A consent search of her property revealed a used hypodermic needle. The subject was subsequently arrested for B&P 4140 - Possession of a hypodermic needle. The subject was given a citation with a promise to appear.